Policing the Kitchen. Whether permissible under the Delhi Agricultural Cattle Preservation Act, 1994 ? Cow slaughter has always been a controversial topic in India. Many states have passed laws banning cow slaughter and such laws have been challenged before the Supreme Court of India. Article 48 of the Constitution of India, which forms part of the Directive Principles of State Policy states that the State shall take steps for prohibiting the slaughter of cows and calves and other milch and draught cattle. The Supreme Court of India as early as in 1959 in Mohammed Hanif Quareshi’s case upheld the laws banning cow slaughter. However, in the said judgment it was held that laws mandating a total ban on the slaughter of she buffaloes or breeding bulls or working bullocks (cattles or buffaloes) after they cease to be capable of yielding milk or of breeding or working as draught animals is not reasonable. However, subsequently in the year 2005, the Supreme Court in Mirzapur Moti’s case overruled Quareshi’s case on this aspect and held that even laws prohibiting slaughter of categories exempted by Quareshi is constitutionally valid. The correctness of these judgments are not being addressed here. 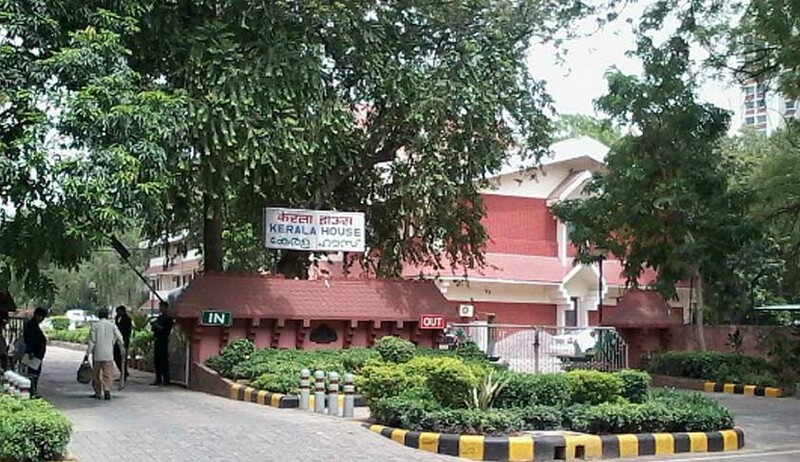 The recent controversy over the Delhi Police personnel entering Kerala House on a complaint being received that the canteen at Kerala House is serving cow meat has shocked the conscience of a lot of people. To understand the illegality on the part of the Delhi Police, one needs to examine the legal provisions governing the field. The Delhi legislature enacted the Delhi Agricultural Cattle Preservation Act, 1994 as far back as 1994. Agricultural cattle under the Act include cows, calves of cows, bulls and bullocks. Notably, buffalo is not included in the definition of agricultural cattle. Section 4 of the said Act prohibits slaughter of agricultural cattle. Under Section 5 of the said Act, transport or export of agricultural cattle for slaughter has been prohibited. Section 7 prohibits the sale and purchase of agricultural cattle for slaughter. Section 8 prohibits possession of flesh of agricultural cattle. Interestingly, Section 9 prohibits possession of flesh of agricultural cattle slaughtered outside Delhi. As per Section 12 of the said Act, any person contravening Sections 4,5 and 7 can be sent to jail for 5 years. Any person contravening Sections 8 and 9 can be sent to jail for one year. The ordinary principle in criminal law is that the burden is on the prosecution to prove that the accused has committed an offence. However, Section 14 mandates that the burden is on the accused to prove that he has not committed an offence under the Act. Further, the offences under the Act are non bailable. The reverse burden of proof together with the offence being non bailable makes the said Act absolutely draconian. A mere perusal of Section 11 makes it clear that the power of the police is essentially with respect to search and seizure when agricultural cattle are being transported in a vehicle for the purpose of slaughter. The power to enter a person’s kitchen on suspicion of an offence having been committed is a draconian provision and the legislature has consciously not given that power to the police. That power, as stated earlier, has been vested with the Director, Animal Husbandry or the Veterinary Officer. Another aspect that is draconian is that under Section 9, possession of the flesh of agricultural cattle which is slaughtered outside Delhi has been made an offence. So, if someone carries beef from Kerala to Delhi, he can be arrested and put in jail for one year even though in Kerala there is no ban on cow slaughter. So what was not an offence when the person started his journey from Kerala will suddenly become an offence when he steps into Delhi! A similar provision was introduced in Maharashtra in the year 1995 by way of an amendment to Maharashtra Animal Preservation Act, 1976. The said amendment received the assent of the President only in the year 2015. The constitutionality of the said amendment was challenged before the Bombay High Court and the Bombay High Court has recently passed an interim order restraining the State from taking coercive steps against persons possessing beef till the time the case is decided finally by the High Court. Maharashtra and Delhi are the only two states where even possession of beef slaughtered outside the State has been made an offence. Section 9 has in effect made the import of beef into Delhi an offence and as a necessary corollary has made consumption of beef an offence. An important question arises whether such a provision violates Article 21 of the Constitution of India. Such a law can arguably be also violative of Article 301 which provides for freedom of trade commerce and movement within the territory of India. What has been upheld by the Supreme Court is the law banning cow slaughter. However, the constitutionality of any law prohibiting import of beef or consumption of beef has not yet been tested in any Court of law. Therefore, Section 9 of the Delhi Act is violative of the right to life, which includes right to eat which has been upheld by the Apex Court in several cases. The Apex Court in Hinsa Virodhak Sangh’s case has gone on to hold that what one eats is one’s personal affair and it is a part of his right to privacy which is included in Article 21 of our Constitution. Assume a situation where all the States in India pass a law banning cow slaughter. In such a situation, if a person travels abroad and brings back beef for consumption in India, can the State enact a law stating that such a person can be put behind bars? According to me, that cannot be done and such a law would be violative of Article 21. There is no doubt that the Delhi Act is draconian and many provisions border on absurdity. Any law which makes the eating habits of an individual a criminal offence has to be viewed with circumspection. The action of the Delhi police is illegal and also smacks of lack of propriety. The action of the Delhi police in rushing to Kerala House with a large number of personnel was unwarranted to say the least. The Delhi Police should know better that the Kerala House is the citadel of the Kerala Government in Delhi. If this can happen to an institution as important as Kerala House, one can only imagine what can happen to an ordinary citizen. The day is not far when police starts entering the kitchen of unsuspecting citizens. One only hopes that the same alacrity is shown by the Delhi Police when crime after crime is being committed in Delhi against women and children. Raghenth Basant is a lawyer practicing in the Supreme Court of India. A shorter (Malayalam) version of this Article is published in Malayala Manorama.